Readers of my blog are curious to the origin of my last name. The name sounds Slavic and I get a lot of guesses. One Czech reader did correctly recognize it as a Bohemian surname. This post is the story of my Great Grandfather who came to America. This summer I spent some time going through some old scrap books in our basement. The sources I used for this post were the 1942 newspaper (either Marinette, WI or Menominee, MI daily) obituary of my great grandfather and conversations with my father. Andrew John Kralovec (the name was “Americanized” – it was originally Andreas) was born “in Bohemia” on July 17, 1860 and he came to the USA in 1888 when he was 18 years old. I can only guess why he left for America. At the time, Bohemia was a peaceful entity under the control of the Austro-Hungarian Empire and they had a relatively good level of autonomy. His decision to leave changed my destiny completely. 1) Anna Kralovec – She remained single her whole life and worked as a nurse in Oak Park, Illinois. 2) Mathias Kralovec – He lived in Green Bay, Wisconsin and worked as a carpenter. He didn’t have any children. My father lived with him for two weeks every summer in Green Bay. 3) Mary (Feich) – She lived Greenwood, a small town just south of Ishpeming in the Upper Peninsula of Michigan. She didn’t have any children. 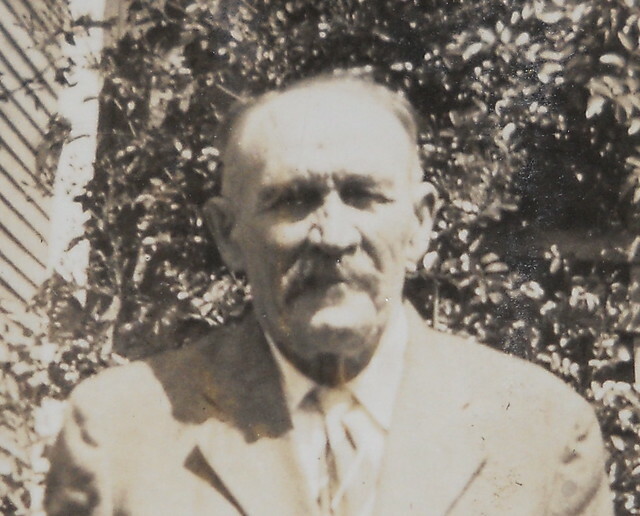 4) Charles Kralovec – My grandfather, lived in Menominee. He attended Ripon College (Wisconsin) with his brother John for a couple of years. He left the school because of his lack of hearing. I will post on him more later. 5) Jennie (Paitl) – She lived in Menominee and had several children. 6) Frank Kralovec – He house painter in Ewen, Michigan. He married late in life and had no children. 7) Colonel John Kralovec – He was physics professor at Kemper Military School, Booneville, Missouri for over 40 years. John had two boys, one named John Charles. Andrew then returned to Menominee, Michigan in 1920, where he worked as a lumber grader for 14 years. At that time, Menominee, located at the mouth of the Menominee River, produced lots of lumber because of the great number of trees in the Upper Peninsula of Michigan being harvested and its position on Lake Michigan. Andrew died in 1942 at the age of 82. He passed away quietly in his sleep. The newspaper reported that he suffered from heart disease for some time before his death. Anna lived another 5 years after the death of her husband. She died of stomach cancer. My father remembers that she cooked all the time and always wore an apron. She always had a crock of sauerkraut fermenting in the kitchen, my father remembers the smell, and she cooked fresh bread everyday. My father remembers a bit about his grandfather. He was a big guy, about 6-2, 200 pounds. Andrew loved to play pinochle with his brother and they were always cheating at cards. He did not speak English very well but he understood everything. His left arm didn’t move from when he tripped over the woodblock making kindling for the stove about 10 years before his death. I would have loved to have met him, but he died 25 years before I was born. It would have been interesting to ask him why he came to America. My father said that because of the language, he didn’t speak much to him. My grandfather spoke Czech, but not my father. He lived a good life according to my father, so I guess he didn’t regret coming over. I also wish the newspaper would have had a bit more about where in Bohemia he came from. Thanks Ray. I enjoy your posts on facebook. My husband thinks that the Frank Kralovec named above was married to his grandmother in California. He was a house painter and had no children. He was also missing an arm from a logging accident. Does this follow any of the history you may know about the above Frank Kralovec above? He hadn’t spoke of family and we would like to know if this would be his family. He died in 1976 at approxiamately 75 years old and is buried in Sacramento,CA. Thanks for the comment on my blog. I am not sure if the Frank Kralovec who married into your family was my grandfather’s brother. My father passed away a couple of years ago so I can’t ask him if Frank eventually made it out to California. My dad did mention Ewen, Michigan, which is a small town in the Upper Peninsula, just north of where I grew up in Caspian, Michigan. It is cool not to have to spell your name all the time. In the US I constantly had to pronounce it and spell it when registering for a hotel or signing up for something. Here I just have to pronounce in a slavic accent. The Serbs slightly roll the “r” as in Spanish. Most likely – My brother is named Andrew Charles Kralovec. Thanks Matthias! I hope to visit the area before I leave Europe. My great great great grandmother was Katerina Kralovec born 27 June 1847 at Petrovice house 17, daughter of Andreas Kralovec and Maria nee Kralovec,of Petrovice house 6. She had a brother Andreas born 19 July 1860. My great grandfather Adam Kralovec lived in Ashland county, Bad River and Sandborn. I always thought they were related. Adam married in Menominee Michigan Johanna Faina daughter of Thomas Faina and the above Katerina Kralovec. I have 2 lines from Petrovice 17 and 1 line from Petrovice 6. I have Bartholomew Kralovec, son of Bartholomew Kralovec and Anna,of Ceska Kubice, married Dorothea Weber of Babylon on 16 January 1781.Bartholomew and Dorothea moved to Petrovice, house # 6 and Havlovice , 11 children. I am Jennie Kralovec Paitl’s granddaughter. I remember Great-Uncle (Colonel) John Kralovec, my grandmother’s brother; we visited him and Aunt Loretta in Booneville, MO. The last name. Rebic, is actually Rebitz. It is nice to hear from a distance relative! Thanks for the correction. Bill, my great grandmother is Jennie Kralovec – one of Andrew’s children. I have some family photos I could send your way if you’re interested, and any other photos you could share would be fantastic. I would love to see some of the family photos. I will not get back to my home in Iron River, Michigan for quite awhile, so I can’t send you any other photos. I wonder if we’re related? My great-grandfather was Otto J. Kralovec of Chicago, IL. His father was John Kralovec from Domazlice, Bohemia. If you read the comments in “About This Blog” from other Kralovecs, we probably are, although distantly. I have had correspondence from the other Kralovecs in Chicago. Where is Domazlice today, Czech Republic? I wonder if John and Andrew were related? My name is Jeff Payne out of California and I was wondering Tracy if your Grandfather was/or still is Otto J. Kralovec Jr who was a LT in the Navy and that Graduated out of the Naval Academy back in 1943? If he was and Bill if he is related to you please contact me at jeffnmegan2009@yahoo.com. My father died in 2012 and so next time I am in the US, I’ll see if I can look up Otto. The name sounds familiar, but I can’t recall exactly. I’ll let you know if I find anything. Otto J. Kralovec was my maternal Great-uncle. You have the correct info. He did graduate the naval academy in 1943. We called him, “Uncle Bud”. He was married to Grace Prewitt. He used to visit his sister Dorothy Kralovec Pinckney in Elmhurst when I was a child. I believe he passed away on July 3rd or 4th back in the early 80’s. Your John Kralovec may have been from the village of Petrovice near Domazlice. There were at least 3 lines from there. We are distantly related, as my great grandfather was James Martin Kralovec–Jan (John) Kralovec’s brother…both of whom emmigrated from Domazlice, Bohemia to Chicago, in 1874 and 1868, reespectively. Interesting. My great grandmother was a Faina from Bohemia, married a Duffek and they too lived in Odanah WI. I don’t know a whole lot about them other than that. This is the first time I have heard of another Faina in the U.S. My line of Faina’s were from Ujezd, Parish of Trhanov, district of Domazlice. 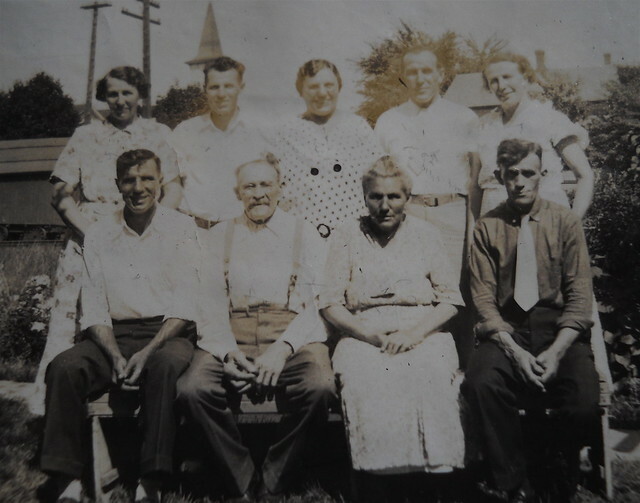 Do you know the first names of your great grandparents?My mother told me that great grandfather Adam associated with a Duffek and she thought they may have been related. I know there are Duffeks on the 1900 census at Ashland. Maybe your great grandparents married in the states as did mine.